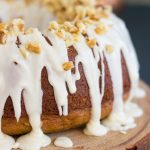 The easiest bundt cake recipe, spiked with Fireball for extra cinnamon flair and a solid boozy kick! 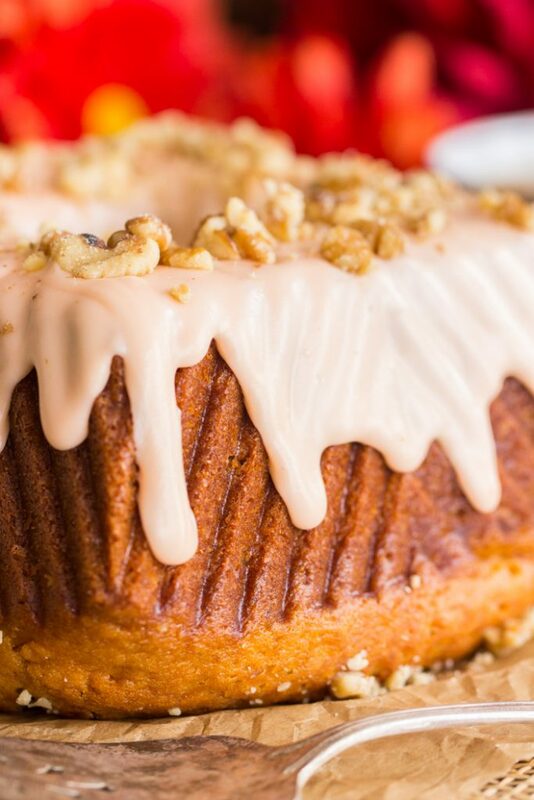 The best qualities of Fireball whiskey shine through, and this Fireball Cake is topped with sweet, perfect, cinnamon whiskey glaze, oozing over every corner and edge! 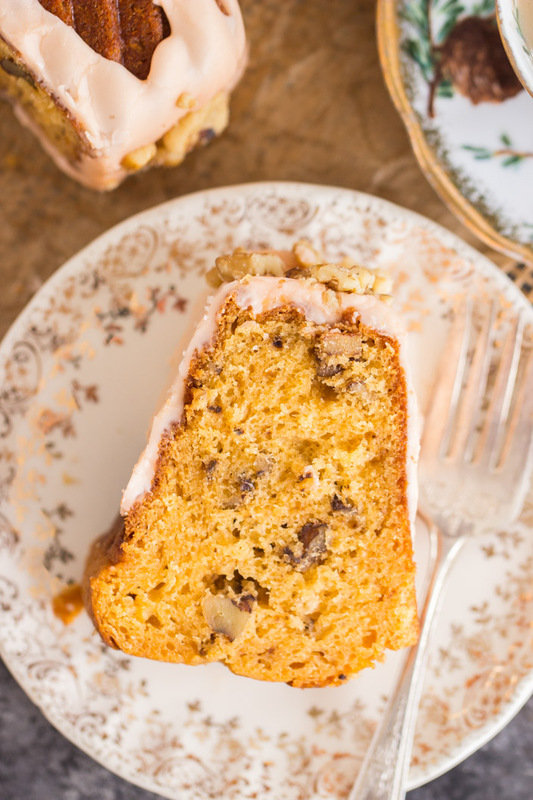 This Fireball Cake will be the hit of every holiday get-together! I LOVE to bake with booze. I love baking with booze more than I like drinking it. I don’t even have to think about my preference – I definitely want liquor in my baked goods and not a shot glass, highball, or whatever kind of drinking vessel. I actually do like to drink Fireball though, especially compared to other liquors. Bourbon? Not my fave. But put it in a Brown Butter Bourbon Pecan Pie? I’m so in. It’s magical in baked goods. Although I’ll drink Fireball and I quite like it, I still think it shines even better in baked goods than as a drink. 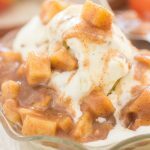 This Fireball Cake is the best current example of that, but past amazing examples include this Fireball Apple Crisp, Fireball Apple Pie, and Fireball Whiskey Caramel Sauce recipe. 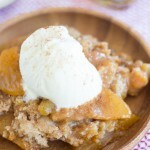 The world’s BEST Apple Crisp recipe is still the better for a splash of Fireball. And my Mom’s Apple Pie is epically awesome – there is nothing that can beat it – but a splash of Fireball still does miraculous things to it. I mean, my Mom’s pie has nothing to be improved upon, buuuuut Fireball certainly doesn’t hurt. And regular homemade caramel sauce? Incredible! No doubt about that… but add Fireball to it, and O. M. G. World of improvement. You’ll never look back. Fireball is sweet, spicy, and has a kick, but not too much kick. It’s got it all… all desirable qualities, IMO. I just love what it does for some of my classic recipes that are heavy on cinnamon. 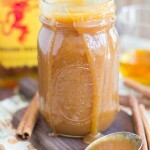 It adds more cinnamon flair, an extra touch of sweetness, but a little boozy bite too. It’s so perfect. 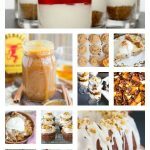 I shared this collection of 20 Sizzling Fireball recipes last week, and it reminded me that I had this Fireball Cake recipe ready to go. Cinnamon is a spice that’s always in season, but I feel like I gravitate toward it even more in the fall. Don’t you? I’m extra in the mood for cinnamon in the fall. This Fireball Cake will get you a cinnamon fix, a booze fix, and a dessert fix all in one. It’s easy, easy, easy too. Like a lot of my favorite bundt cakes, it starts with a cake mix. 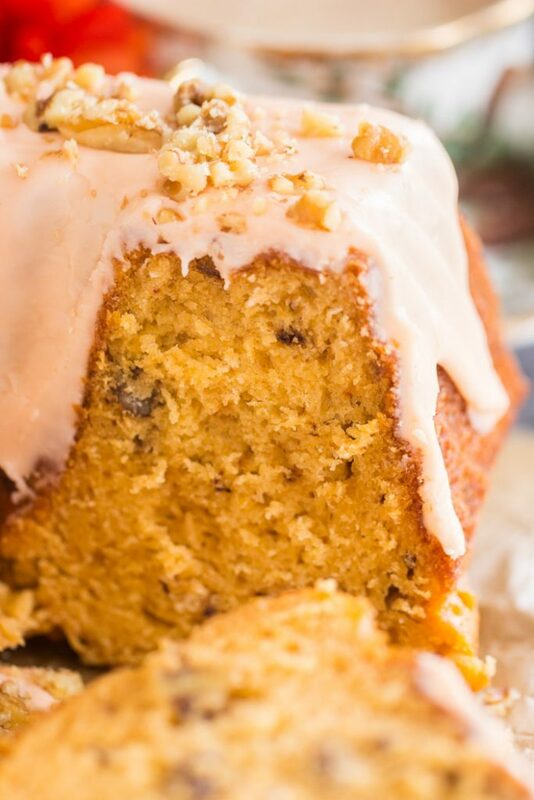 Just a doctored up cake mix recipe, but a great one, and featuring a heck of a lot of Fireball. 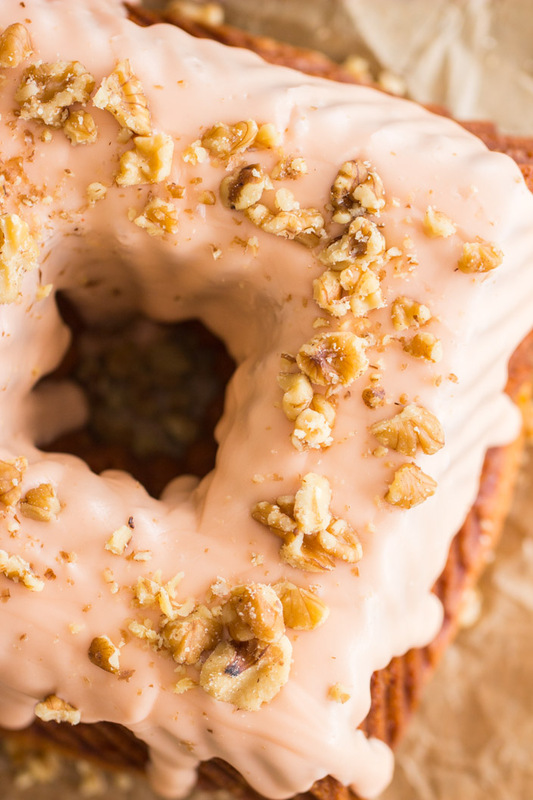 The glaze on top… well, that’s not short on Fireball either. A Fireball Cake must have an accompanying Fireball glaze, duh. Sweet, perfect, cinnamon whiskey glaze, oozing over every corner and edge. 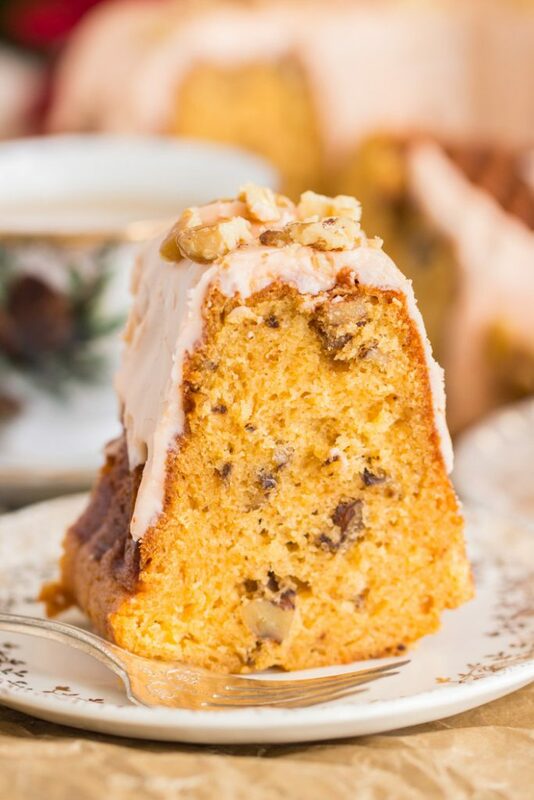 Trust me when I tell you that you’ll want to have this Fireball Cake recipe teed up for the holidays. It’s simple to whip up, and it’ll make you the hit of every holiday party. 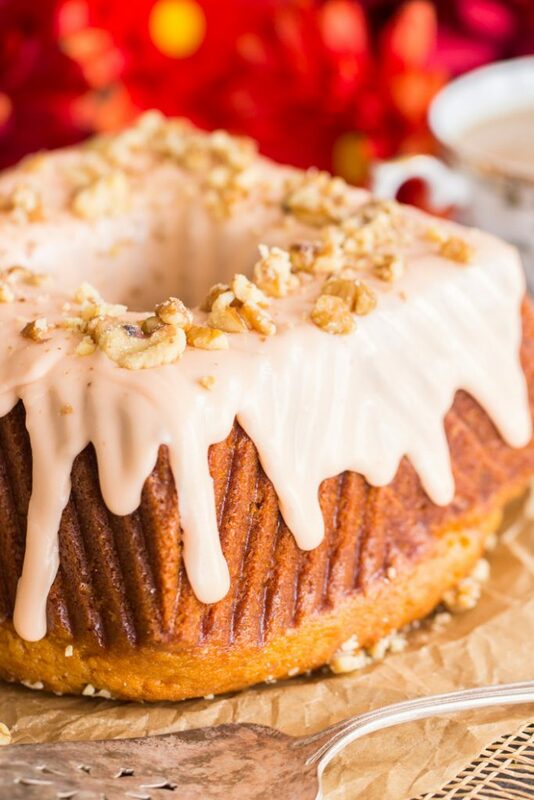 Also, I have a whole roundup of 25 Easy Bundt Cake Recipes if you’re looking for other ideas. 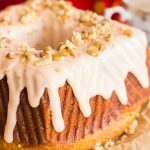 It’s a great guide for the holidays if you want a simple bundt cake recipe. You’re definitely covered – there’s a huge variety of options there, including some awesome seasonal bundts! In a large bowl, whisk together cake mix, pudding mix, oil, whiskey, water, and eggs. Pour batter into a greased bundt pan. Bake at 325 for 40-50 minutes, or until edges are brown, and a toothpick inserted near the center comes out clean. Remove to a wire rack to cool for 15 minutes before inverting onto a serving platter to cool completely. Do not cool completely in pan - cake will stick. In a small bowl, whisk together melted butter, whiskey, vanilla, and 2 cups powdered sugar. Whisk until smooth, adding more powdered sugar as needed to achieve desired consistency. Allow glaze to set for about 10 minutes. How many eggs should be used? The ingredients list does not contain eggs. But the instructions say to add the eggs. Is it the number from the box of cake mix? Thank you SO MUCH for letting me know!! I am working with a new recipe formatter. It takes 4 eggs! 3.4 oz! I’m sorry for the confusion!